Red Sea Coral Pro Salt is a specialty salt mix formulated for today’s advanced reef aquariums. A scientifically formulated marine salt is based on using pure water. This is a necessary to accurately calculate all the elements required to recreate tropical seawater. 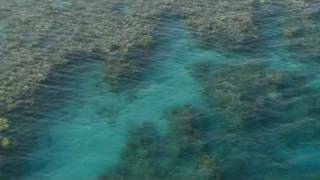 It is the best way to create a baseline salt formulation that most precisely mirrors the reef environment. Research laboratories and professional aquaculture facilities often use ultra-pure reverse osmosis and deionized mineral-free water for mixing saltwater. Reef aquarists using RO or RO/DI can have this same level of “saltwater perfection” with Red Sea Coral Pro Salt. Coral Pro Salt is intended to stimulate growth of SPS and LPS corals in aquariums and frag tanks. The coral-building process of calcification demands adequate levels of Foundation Elements: calcium, magnesium and bio-available carbonates. These elements play a key role in coral metabolism and growth, pH stabilization and ionic strength of the saltwater. Coral Pro Salt contains the levels of foundation elements and trace elements necessary for coral growth in your aquarium. You won’t have to use additives to “fix” your freshly made saltwater! The recommended salinity level for reef-building corals is approximately 35 parts per thousand (ppt). At 35 ppt, Red Sea Coral Pro Salt supplies 480 ppm of calcium; the same calcium level required for growing LPS and SPS corals in reef aquariums. The following table shows calcium levels of Coral Pro Salt mixed in RO water for various salinities at 75°F (24°C). 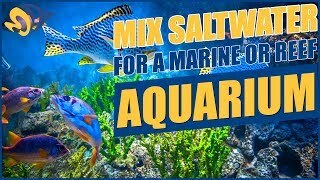 If you have a marine fish and invertebrate, SPS dominant, or ultra-low nutrient system, consider the standard Red Sea Salt Mix formulation. Red Sea Reef Care Recipes offer easy-to-understand and simple-to-implement instructions for reef maintenance, tailored to each type of aquarium. 3 easy steps for maintaining your reef aquarium. Water changes | Supplementing | Testing. Select the system type that best describes your reef. The Reef Care Recipe will outline the ideal water parameters for your system, how to maintain them and what products to use. Used tropic Marin for years as it was more expensive and was a great salt. Red Sea Coral Pro salt keeps my parameters pretty perfect! Lasted for about 3 months, has alk, calcium and other supplements too! Dissolved pretty fast too! This salt is great for the constant water changer. But for those who like to dose this salt can sometimes lead to high levels of magnesium removing the headroom to adjust. Pricey and not really too great. My corals don’t seem to enjoy it. Mixes easy, no clumping, Spot on parameters for maximal coral growth. I have been using RSCP for the past 4 years in my various tanks, it always mixes good and salinity is on point. leaves no gunk in the containers when mixed. Just follow the instructions when mixing and you should be all set. I have tried more economical salt brands but keep coming back to RSCP salt. Great Salt, mixing quick and clean. Been using RSCP salt for over a year and never had a problem. Mixed in 30 min ready to use.